The 18th Century lasted from 1701 through 1800 in the Gregorian calendar. Historians sometimes specifically define the 18th Century otherwise for the purposes of their work. For example the "short" 18th Century may be defined as 1715-1789, denoting the period of time between the death of Louis XIV of France and the start of the French Revolution, while the "long" eighteenth century may run from the Glorious Revolution of 1689 to the battle of Waterloo in 1815 or even later. 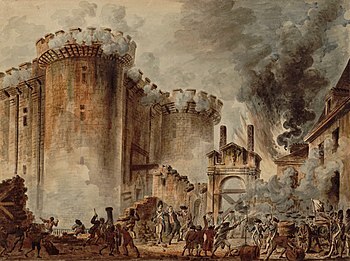 The storming of the Bastille, July 14, 1789, an iconic event of the French Revolution. John Churchill, ancestor of Winston Churchill and one of England's greatest generals. 1700-21: Russia supplants Sweden as the dominant Baltic power after the Great Northern War. 1701-1714: War of the Spanish Succession was a conflict which involved most of Europe. 1702-1715: Camisard Rebellion in France. 1703: Saint Petersburg founded by Peter the Great. Russian capital until 1918. 1703-1711: The Rákóczi Uprising against the Habsburg Monarchy. 1707: Act of Union passed merging the Scottish and the English Parliaments, thus establishing The Kingdom of Great Britain. 1707: After Aurangzeb's death, the Mughal Empire enters a long decline. 1708-1709: Famine killed one-third of East Prussia's population. 1715: Louis XIV died leaving France deep in debt. 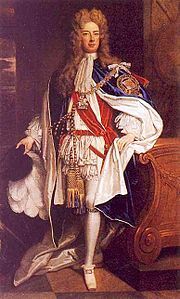 1721: Robert Walpole became the first Prime Minister of Great Britain (de facto). 1721: Treaty of Nystad signed, ending the Great Northern War. 1722: Afghans conquered Iran, ending the Safavid dynasty. 1722: Kangxi Emperor of China died. 1723: Slavery abolished in Russia. Peter the Great converted the household slaves into house serfs. 1726: The enormous Chinese encyclopedia Gujin Tushu Jicheng of over 100 million written Chinese characters in over 800,000 pages is printed in 60 different copies using copper-based Chinese movable type printing. 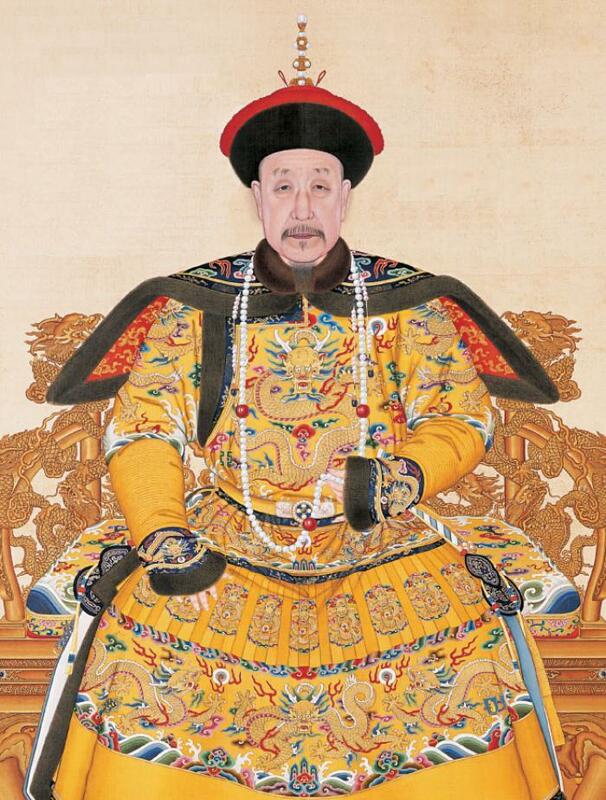 1735-99: The Qianlong Emperor of China oversaw a huge expansion in territory. 1736: Nadir Shah assumed title of Shah of Persia and founded the Afsharid dynasty. Ruled until his death in 1747. 1736: Qing Dynasty Chinese court painters recreate Zhang Zeduan's classic panoramic painting, Along the River During Qingming Festival. 1738-1756: Famine across the Sahel, half the population of Timbuktu died. 1739: Nadir Shah defeated the Mughals and sacked Delhi. 1740: Frederick the Great comes to power in Prussia. 1740-1741: Famine in Ireland killed ten per cent of the population. 1741: Russians began settling the Aleutian Islands. 1745: Second Jacobite Rebellion began in Scotland. 1747: Ahmed Shah Durrani founded the Durrani Empire in modern day Afghanistan. 1756-63: Seven Years' War fought among European powers in various theaters around the world. 1757: Battle of Plassey signaled the beginning of British rule in India. Frederick II the Great, King of Prussia. 1760: George III became King of Britain. 1762-96: Reign of Catherine the Great of Russia. 1767: Burmese conquered the Ayutthaya kingdom. 1769: Spanish missionaries established the first of 21 missions in California. 1769-73: The Bengal famine of 1770 killed one third of the Bengal population. 1770-1771: Famine in Czech lands killed hundreds of thousands. 1772-1795: The Partitions of Poland ended the Polish-Lithuanian Commonwealth and erased Poland from the map for 123 years. 1772: Gustav III of Sweden stages a coup d'état and takes big political power, becoming almost an absolute monarch. 1773-1775: The Pugachev's Rebellion was the largest peasant revolt in Russia's history. Scottish engineer and inventor James Watt. 1781: Spanish settlers founded Los Angeles. 1783: Famine in Iceland caused by Laki eruption. 1783: Russian Empire annexed the Crimean Khanate. 1787: Freed slaves from London founded Freetown in present-day Sierra Leone. 1788: First European settlement established in Australia at Sydney. 1789: George Washington elected President of the United States. Served until 1797. 1792-1815: The Great French War started as the French Revolutionary Wars which lead into the Napoleonic Wars. 1792: New York Stock & Exchange Board founded. 1793-1796: Revolt in the Vendée against the French Republic at the time of the Revolution. The Battle of New Ross took place in Ireland, during the Irish Rebellion of 1798. 1795: Pinckney's Treaty between the United States and Spain granted the Mississippi Territory to the US. 1796: British ejected Dutch from Ceylon. 1796-1804: The White Lotus Rebellion against the Manchu Dynasty in China. 1797: Napoleon's invasion and partition of the Republic of Venice ended over 1,000 years of independence for the Serene Republic. 1798: The Irish Rebellion failed to overthrow British rule in Ireland. 1798-1800: Quasi-War between the United States and France. 1799: Napoleon staged a coup d'état and became dictator of France. Francesco Geminiani, Italian violinist, composer, and music theorist. 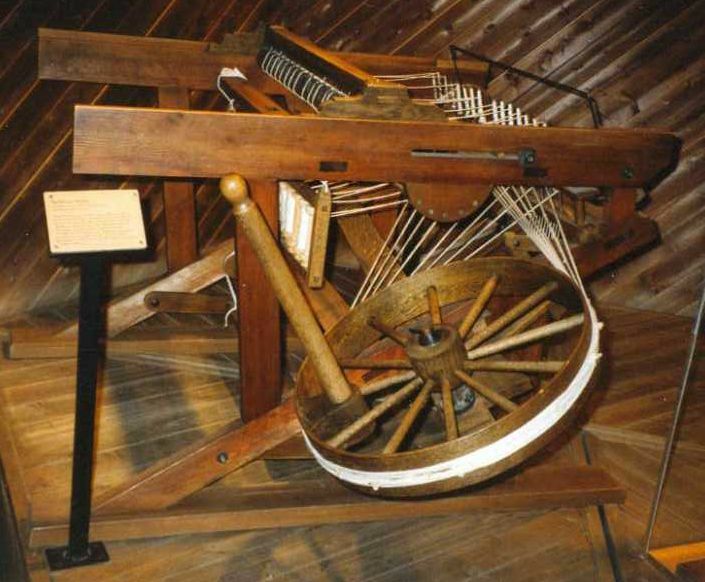 1712: Steam Engine invented by Thomas Newcomen. 1717: The diving bell was successfully tested by Edmond Halley, sustainable to a depth of 55 ft.
Over the period 1700 to 1750 tea establishes itself as the British national drink. The Chinese Putuo Zongcheng Temple of Chengde, completed in 1771, during the reign of the Qianlong Emperor. ^ Anderson, M. S. (1979). Historians and the Eighteenth-Century Europe, 1715–1789. Oxford University Press. ISBN 0198225482. ^ Ribeiro, Aileen (2002). Dress in Eighteenth-Century Europe 1715-1789 (revised edition). Yale University Press. ISBN 0300091516. ^ O'Gorman, Frank (1997). The Long Eighteenth Century: British Political and Social History 1688-1832 (The Arnold History of Britain Series). A Hodder Arnold Publication. ISBN 0340567511. This page uses content from the English language Wikipedia. The original content was at 18th century. The list of authors can be seen in the page history. As with this Familypedia wiki, the content of Wikipedia is available under the Creative Commons License.